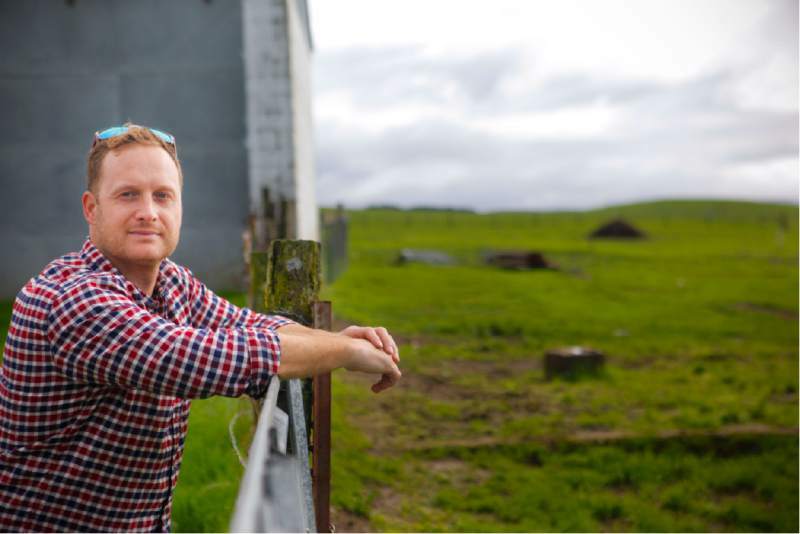 Sam Magruder hopes to receive the green-light for the approval of his planned Petaluma pot farm. (Photo: Crissy Pascual/Argus-Courier staff). The sprawling, bucolic landscapes in rural Petaluma have long been the lifeblood for much of Sonoma County’s booming agricultural economy. Now, a team of entrepreneurs is hoping to break into those same fertile soils to usher in a new era for cultivation — that of legal cannabis. The proposal to cultivate an acre of medical cannabis just outside of Petaluma’s city limits in unincorporated Sonoma County has drawn sharp criticism from neighbors, who late last year formed a coalition to oppose the project and other nearby proposals for commercial grows. 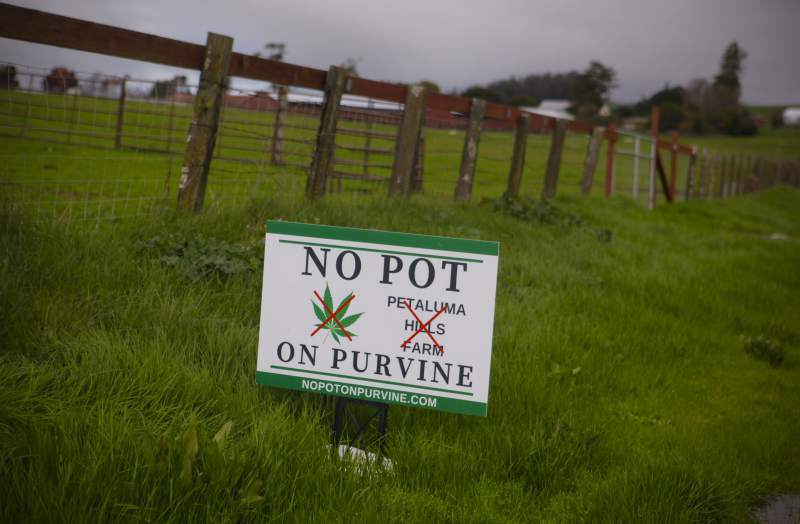 The potholed road that winds its way to the Petaluma Hills Farm on a 37-acre former chicken ranch at 334 Purvine Road is dotted with signs with the opposition group’s slogan: “No Pot On Purvine.” The application for the 43,560-square-foot indoor and outdoor grow is just one of 30 in county jurisdiction bordering Petaluma, where commercial growing and marijuana dispensaries are banned. Adversaries take issue with water usage in an area they say is already struggling with limited supplies, overtaking of natural resources, security concerns, impediment of views and an overall shift in the social fabric of the neighborhood. 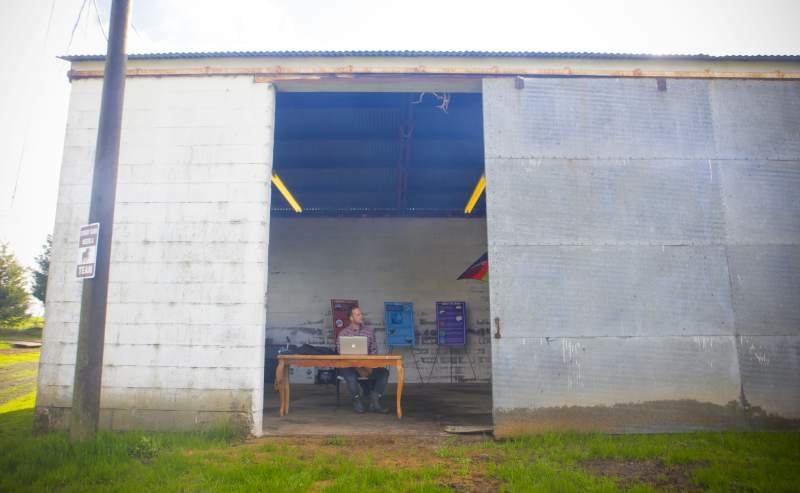 San Francisco’s Sam Magruder and Glen Ellen entrepreneur Gian-Paolo Veronese, who are partnering to make their long-held cannabis cultivation dreams a reality, said they’ve gone above and beyond the county’s regulations to create a secure and sustainable operation with minimal impacts. The application, submitted to the county’s permitting department last year, seeks approval for to 10,000 square feet small mixed light use, 5,000 square feet specialty indoor use, and 28,560 square feet medium outdoor cultivation. It’s currently hard to pinpoint exactly how many plants will be cultivated or how many pounds of product will be shipped to yet-to-be identified distributors, Magruder said. There will be no on-site sales or cash kept on the property. Much of the land will be leased to local farmers for cattle grazing and the land would also be home to a vegetable garden that would provide specialty goods to local eateries, he said. 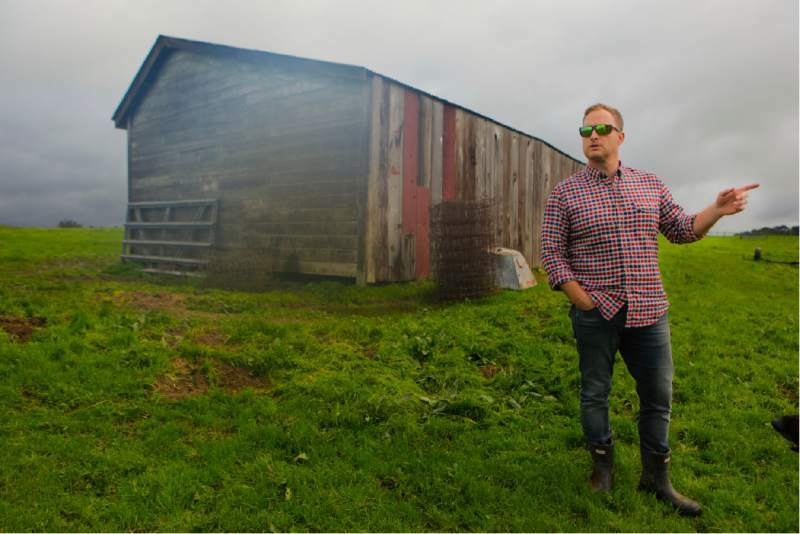 Magruder, who graduated from Humboldt State University with a degree in botany, biology and sustainable agriculture and has spent 20 years cultivating medical cannabis, hopes the farm can help set the standard for the burgeoning industry. The operation will be closed to the general public unless a special event is being hosted and will include 24-hour security, carded-entry for employees, motion sensor lights and alarms, fencing and screening. The business would hire five local full-time employees with additional seasonal laborers. The farm will use an estimated 185,00 to 200,000 gallons of water annually, and will use rainwater capture devices and dry farming techniques, Magruder said. Odor control plans are also in place and a study commissioned by the owners found traffic impacts to be minimal, he said. Outdoor growing areas will be fenced and screened by native plants. Existing buildings were decommissioned by Petaluma-based Heritage Salvage, with some of the wood set aside for use on new buildings. The more than $2 million operation is backed in part by Big Rock, a San Francisco-based family investment company where Magruder works as a consultant. Since its first meeting in October, the No Pot On Purvine group has grown to as many as 80 members, Garvisch said. Communication between the group and the growers has been limited. The group has reached out to local law enforcement and Supervisor David Rabbitt, and may seek cannabis exclusion zoning to bar commercial cultivation in the area. Though it’s also opposed to grows proposed nearby on Bodega Avenue and Middle Two Rock Road, the group views Petaluma Hills Farm as setting a precedent for other unwelcome operations. “We don’t want to engage — we feel like that would lead to mitigation, and it wouldn’t lead to the bigger picture question,” Garvisch said. The group also takes issue with the vetting process in the county’s new ordinance, and fears that the community will be forever scarred by projects that are pushed through without thoughtful consideration, Garvisch said. Residents feel spurned as they’re so close to city limits, yet are subject to the county’s more lax cannabis rules. “We’re just outside the city limits so we just feel like we’re left out,” said spokesman Drew Buechley. 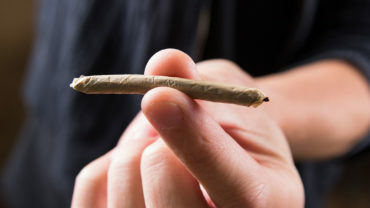 Supervisor Rabbitt, a Petaluma resident whose district includes the city, said the county attempted to strike a balance between preserving the county and catering to the majority of voters who legalized cannabis last year. He’s met with the applicants and the group and will continue the dialogue, he said. The fight over Petaluma Hills Farm is not over, as a hearing with the county’s Board of Zoning Adjustments to grant the conditional use permit is not yet scheduled, Permit Sonoma’s Communications Manager Maggie Fleming said. The department has received 14 letters and emails from concerned residents, she said. No Pot On Purvine plans to appeal the permit if it’s approved, but Magruder said he’s determined to make good on his plans. This story was originally published at Petaluma 360. Hannah Beausang is a news editor and writer at the Petaluma Argus-Courier.